Hey there! Glad you could join me for another installment of my mostly-weekly doujinshi review series. This time around, I thought I’d go for a genre I haven’t touched on before. No, not boys’ love, I’ll leave that to the experts… The books I am going to introduce you to today are of an entirely different variety: Non-fiction. 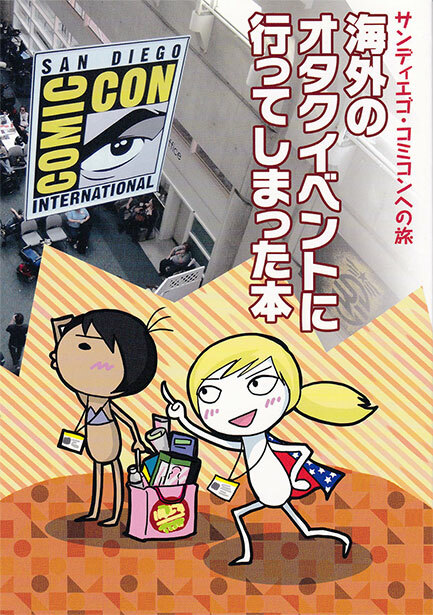 Both of these are reports on the experiences of the authors at two big comic conventions, namely Japan’s Comitia (if you’re not too familiar, check out my own write-up here) and America’s Comic-Con International San Diego. Comitia Notes are the record of the author’s misadventures at Japan’s premier original (read: non-fan fiction) doujinshi market. Depicting himself as Yayoi, the heroine of his first self-published work, Funayama starts out the book with a 2-page sequence that starts with the artistic frustration of drawing someone else’s property, then turns to starting to work on his self-published book upon the invitation to Comitia 100 by a friend, next shows the optimistic beginning of the show, quickly followed by utter defeat, none of his books having sold, and finally closes on the up-note of the artist finding new motivation to have a better book ready for the next show. It’s a story that is surely recognizable to many budding comics artist, who walk into the show confident but unprepared, only to be chewed up and spat out (see the cover), and then come back for another serving. 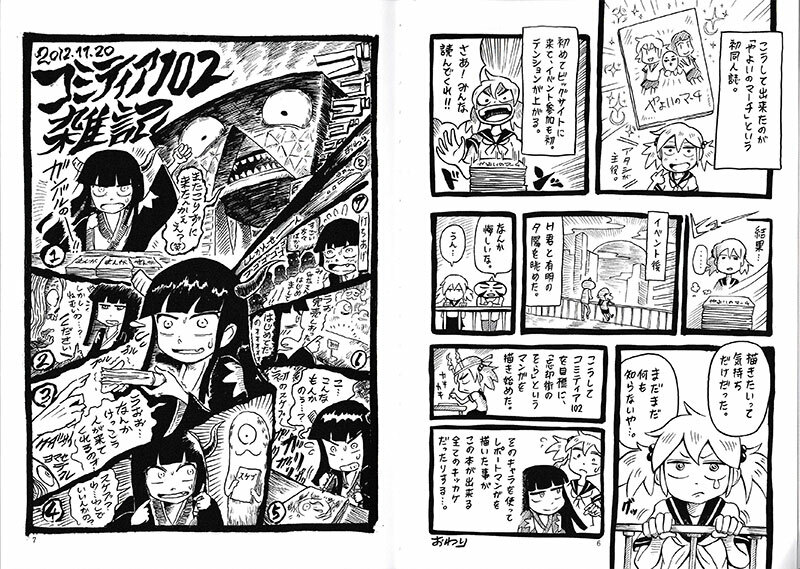 Funayama’s convention life takes an upturn at November 2012’s Comitia 102, with his new book Boukyakugai no Sora selling out, and Funayama getting invited to the Comitia afterparty. The report comic about this experience is actually the first one Funayama drew, and ended up becoming a regular tradition, finally being collected in this book. Over the course of the following three years, Funayama gains friends, fans, watches in awe (and unbridled jealousy) as his peers soar in both skill and popularity. 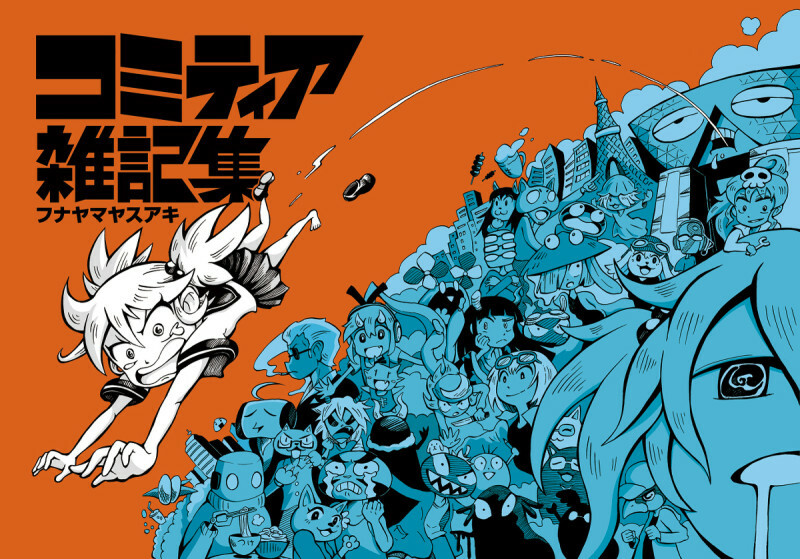 More and more characters, each an artist in real life, but robots/youkai/tomato-monsters in the book, join the cast as Funayama gains foothold in the world of independent comics. But while the storytelling is generally hilariously comedy-heavy, Comitia Notes does contain some valuable lessons, such as how to survive a portfolio review at the “on-site editorial desk” (an experience which Funayama depicts as a ruthless martial arts training sequence that leaves him reduced to a head with legs), or what happens when you make an appointment with an editor for after the convention, but don’t have anything to show (answer: you end up drawing the entire time). Funayama’s Comitia reports are illustrated in a loose, comical style that lends itself to a speedy, fun report. Particularly the depictions of other artists are endearing and entertaining (a lot of them contributed sketches in the back section of the book, along with an introduction of them and their works). Obviously they garnered a good deal of attention, as Funayama was tapped to illustrate Comitia’s ubiquitous rule manual “Welcome to Comitia” for the 118th installment. 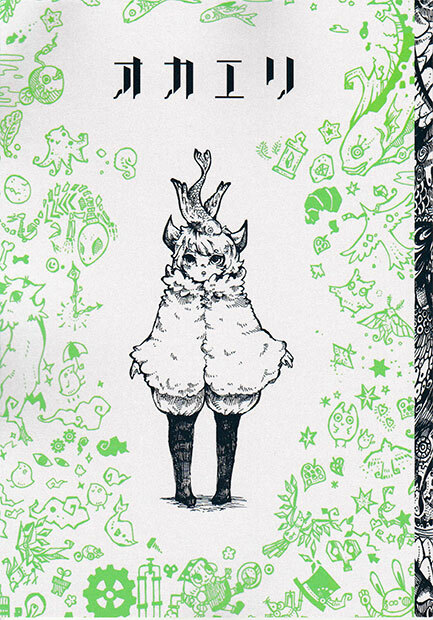 Comitia Notes is 98 black-and-white pages with a glossy, wraparound cover that is so eyecatching I just had to get it when I saw it at Comic Zin. Most Japanese, and otaku even more so, are notoriously conscious of their ability to communicate in English, so visiting an American comic convention prevents quite a few hurdles. Journey to SDCC is as much an attempt at lowering these, as it is a travelogue of the author’s own experiences at the popular convention. Author neko first encountered the term “SDCC” via a video game producer’s call for people to join him for dinner at the event, which immediately made her start to plot for next years’ comicon. Never having been to the US, she had to figure out travel logistics before even facing the ever-momentous task of securing a badge for the event. Journey to SDCC walks the reader through the process of securing badges, picking them up at the event, navigating the panel schedule, finding food, meeting people, and overall having a good time at the busiest of cons. 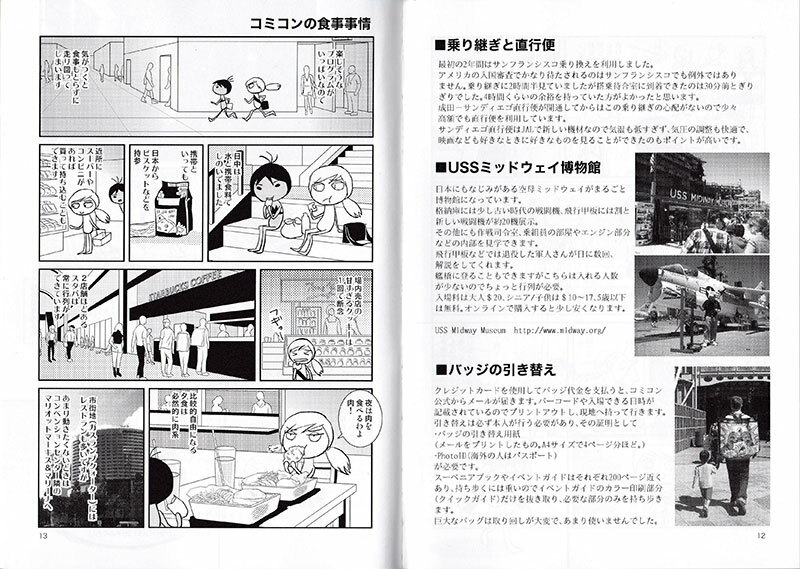 Like Funayama’s Comitia reports, the artist’s experiences are relayed via short comic segments, but offer a more detailed description of each event in the form of text blocks and pictures on the following pages. Leaving the convention center, the book offers tips on things to see, such as the nearby USS Midway museum, and a guide on how to get around on the trolley. But the convention programming takes up the largest chunk of the page count, with a great rundown on what to expect from comic- and art related panels, and even featuring some familiar faces in delightful cameos. Journey to SDCC is a 36-page book with a glossy photo/art collage cover, and chock full with information for not only first-time, but also returning con-goers. I will make sure to re-read it carefully before my trip this summer! The artist: neko on Twitter, the web. 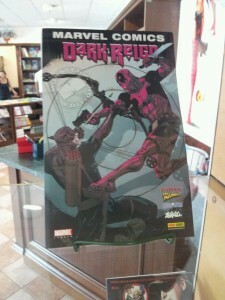 The Journey to San Diego Comic-Con at Comic Zin. Posted in reviews. Tagged art, Art & Design, comics, Comitia, dojinshi, doujinshi, english, Funayama Yasuaki, japan, manga, Neko. 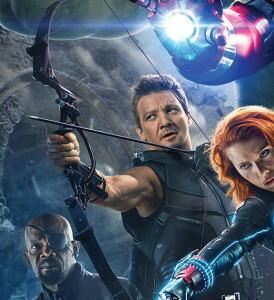 Okay, so I saw the poster for Avengers: Age of Ultron today, and there were a few things so fundamentally wrong with Hawkeye’s archery that I and my friends have been ridiculing it all day… It reminded me of this article I had written a couple of years back, and made me think it might have a place on this website. Hope you enjoy. Archery is one of my favourite hobbies. I compete on a reasonable level. I work for an archery manufacturer. I also enjoy reading comic books, watching movies, and playing video games. What’s wrong with this picture? For anyone who has ever even tried out archery, it’ll be painfully obvious, and very embarrassing to the artist and publisher. My peers were mocking this all over Facebook. You’ll know exactly why after you’re done reading this post. I’ll try to give you a primer on what archery equipment needs to look like to be credible. 1. A bow is not a bow. Well, it is. But there’s several types of bows. Looks like a bow, right? This is the shape most commonly associated with the word “bow”. It’s fashioned out of a piece of pliable wood, or, more commonly in modern times, laminated from several (notice how you can make out several layers in the bow, like layers of sediment). This is called a traditional bow, one-piece bow, or longbow. There are myriads of different shapes, lengths, etc all over the world, but they all are one piece, with a string attached to both ends. 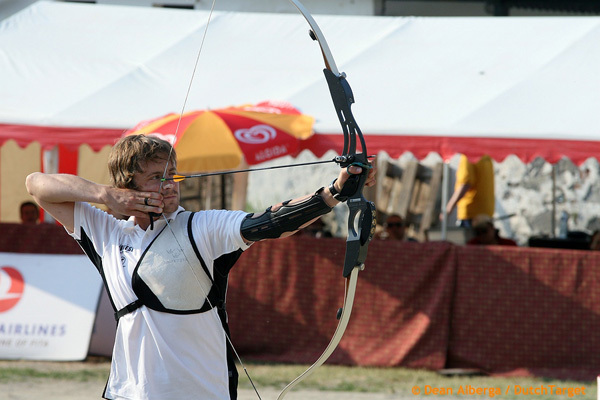 This type of bow is commonly used for recreation, and there are competitions held allowing this type of bow, which is especially popular in Europe. 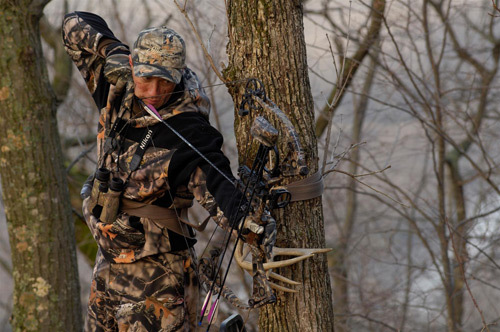 You will not see this bow in the Olympic games, however, and it is no longer commonly used for hunting either (I say “commonly,” because I do believe some people do hunt with wooden one-piece bows still, but not the majority of bowhunters). This is a modern competition Recurve bow. Note how the ends curve back from the overall shape – thus the name recurve. These bows disassemble into three pieces: one handle, or riser, and two limbs. The riser is a piece of machined or forged Aluminum, or in some cases plastic or CFRP (Carbon Fiber Reinforced Plastic), Magnesium, etc. The limbs are the white things with the logo decals on them, and they serve the same purpose as the pliable wood on the bow above – they flex and store more power for every inch you draw back the bow string. The limbs are what gives the bow its power, not the string. A fully drawn recurve bow will have a stronger concave shape than one at rest, depending, of course, on the length of the bow and the archer’s drawlength. 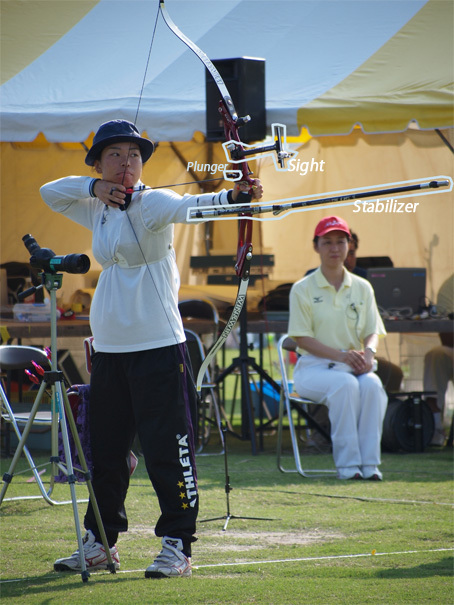 Competition recurve bows generally have a draw weight of 35-50lbs, depending on the archer’s physical ability and style of shooting. A Sight is what you use to aim. It has a vertical rail so you can move it up and down for different distances (the arrow will only fly a certain distance, so if you want to aim farther away, you need to raise the bow higher), and a reticle, or aperture, that you overlay with the target. For Recurve archery, it’s a relatively simple construction, made out of aluminum with some plastic or carbon parts. A Plunger (Plunger Button, Berger Button) is a cushion that is pressed against the arrow shaft, and compensates for arrow flex upon release. 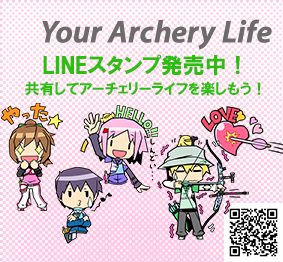 It has to be adjusted for the individual archer’s arrow stiffness to guarantee the right level of compensation. Stabilizers offer, well, stabilization, they keep the bow still while aiming, and, to an extent even during the instant the arrow is shot. Think of a circus athlete using a pole to balance themselves while walking atop a wire. Note that the archer is aiming along the arrow, and will be adjusting for target distance by changing the vertical position of his drawing hand. Recurve bows are also used for hunting, in which case they will have little to no stabilization and a rudimentary sight, or none at all. Compound bows are highly complex, intricate constructions – and the easiest to misunderstand. Note that this is the type of bow the artist tried to render in the picture at the top of this post. They are also used in competition (albeit not the olympics, sadly), but their raison d’etre is hunting. Bow hunting is quite popular in North America, so many of you might have seen a bow like this on TV. Like the Recurve, a Compound bow also has a riser and limbs, but in addition, it also features a set of wheels or pulleys at the top and bottom. These are called cams (sometimes jokingly referred to as “training wheels”). 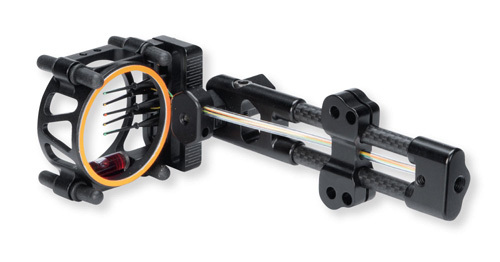 They are connected by the string, which connects to the arrow like the one on a recurve, and 1-2 cables, which control the cam rotation. Cams on modern-day compound bows are eccentric, meaning the pivot point is not in the center of the cam. If you’ve listened in high school physics class, you can probably imagine that this means they offer more resistance, and store more energy, at different parts of the draw cycle. For example, let’s say the above bow has a draw weight of 60lbs – not uncommon for a reasonably fit bowhunter or competition archer. At the end of the draw cycle, the draw weight will drop down by 60-70% to offer a comfortable weight for aiming. At the same time, the bow will also increase power after you let go of the arrow, accelerating the it to 300 feet per second or more, far above what a recurve bow would allow an archer of the same ability. Since the arrow is faster, it travels in a flatter curve, and is less prone to influences from wind and weather, making it more accurate. Also, the archer is using a release aid, a little hook with a mechanical trigger to open it, so his hands aren’t actually touching the string. Again, accuracy boost. 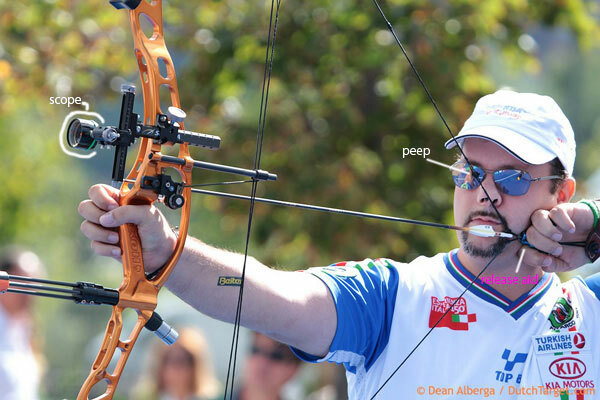 On both recurve and compound bows, the arrow is not resting on the actual bow, but on a mechanical arrow rest, which can often be adjusted to give maximum clearance and guarantee straight arrow flight. Compare this picture to the one at the top, keeping in mind what I said about the string and cables. Even though the compound bow has three strings on it that look the same, and are in fact made out of the same material, you do not pull all of these at once. Having the cables on there enables the cams to work as pulleys, lower holding weight, and speed up arrow flight, but they do not make contact with the arrow. Not only is pulling all three of these back with your hands nearly impossible with normal human strength, but it also offers no merit at all – as I mentioned, it’s the limbs powering the bow, not the string, and If you were to use it like that, the strings would all tug the arrow in a slightly different direction, messing up your flight path. The cams would not turn at all, rendering them useless as well. This bowhunter has an arrow quiver mounted to the bow (competition archers will have it on a belt around the waist, a traditional archer may have it on the back), and uses a hunting sight. A hunting sight has no lens in it, but it has several adjustable pins, which the archer sets to enable them to aim at several distances at once – for example the top pin might be 10yds, while the bottom one might be 40. 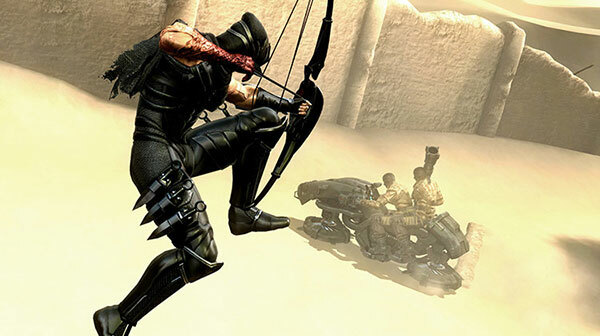 In a situation requiring speed, like the comic book cover back at the top, the archer might not want to bother with a release (which takes time to hook onto the string), so they would use a shooting glove or a tab, like a recurve bow. 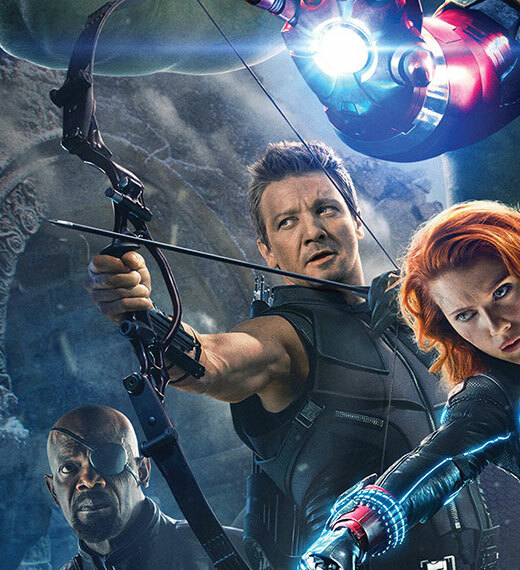 The archer on that comic book cover seems to be pulling either with a release aid at his wrist (no idea how he would trigger that), or by tugging at the arrow, both of which are highly unpractical. This looks more like a crossbow than a bow, honestly I can’t figure out how you would use it. The blades(?) that are on there in place of the limbs look rigid, meaning the thing wouldn’t move an inch. This bow was obviously designed upon the assumption that the strings (again, why so many?) are elastic. In that case, they would have to be some new, super tough and elastic material (hey, it’s a fantasy world, right?). That or the limbs pivot at the root, with some kind of elaborate mechanism powering them from within. Either way, traditional limbs would be much more practical. Ok, this is probably a problem with the 3D rigging of the character, but the arrow isn’t attached to the string… Also, there seems to be some kind of shielding right where the arrow rest should be, which would trap the arrow and break it, leading to serious injury. Always clear your arrow flight path..
That’s it for today, I will try to make time again and come back for a second post about technique – what the archer shooting the bow needs to look like to be credible. Let me know in case you have any feedback, questions, or stuff that you would like me to touch on. Thanks for reading! PS I admit I do not own most of the pictures on here, so if they are yours and you don’t want to have them on here, please notify me and I’ll take them down right away. There are several things that bother me and many of my archer friends. How many can you find? Posted in archery. Tagged english. Another doujinshi review, in the same week? You bet! Here’s another gem that I got at Comitia. Okaeri is a collaboration between two artists, whose work comes together to form one book in a way I might have never experienced before. There’s no “writer” or “artist,” as Kurocha and Seta decided to create this book as a “relay” project, alternating both art and writing. 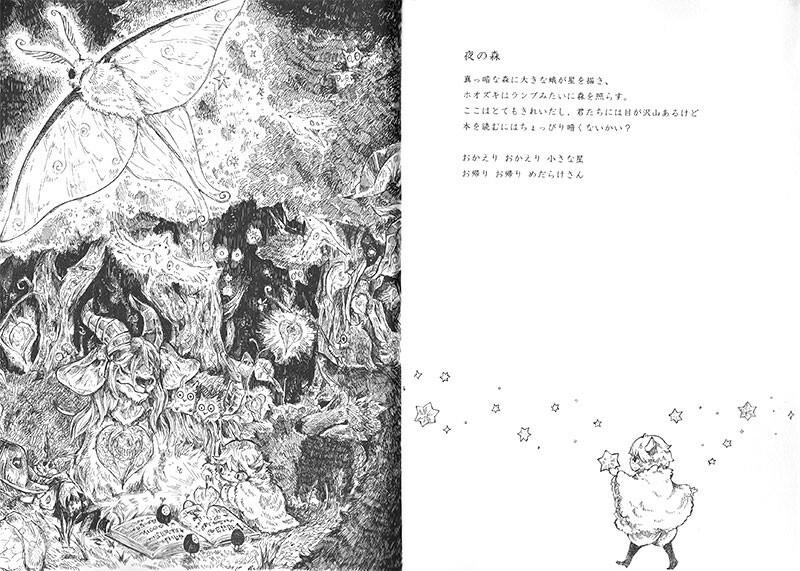 Each double page spread features a full-page illustration with a short block of text, describing a new world the protagonist has stumbled into. The narration always closes with someone being told “okaeri,” and wraps up the scene while introducing a new object or companion that sets the stage for the next. while a Chinese Lantern illuminates the forest, like a lamp. but don’t you think it is a little dark for reading books? The star, which is pictured as being returned to its place on the text side of the page, was introduced on the previous page, while the main illustration on this one introduces the many-eyed ones, who create the bridge to the next. The conscious choice of different characters for “okaeri” (おかえり、お帰り) implies that, while being the same word, one of the “companions” is being told to stay in their world, while the other, new one, is being reminded they are out of their natural place, and should head home. It’s a great reminder how versatile the Japanese language is because of its context-sensitivity, and executed beautifully in this case. The title of the book (オカエリ), and the very last page (お還り) offer two more variations of the same word. The wraparound cover is another highlight of the book, featuring a selective palette of black and green on shimmering pearl white paper. Okaeri only has 24 illustrated pages, but due to the one-page-one-world setup it chooses, it offers a lot more content in them than you’d expect. Each page tells its own tale and there is no overarching story beyond the protagonist wandering through them, so readers looking for an epic tale will be disappointed. However, the “relay” structure is really clever and fun, and the last page offers a sense of closure and validation for the protagonist’s journey. Posted in reviews. Tagged art, Art & Design, Books, comics, Comitia, dojinshi, doujinshi, english, japan, Kurocha, manga, review, Seta. Welcome back to the wildly irregularly scheduled Weekend doujinshi review! After a look at a slightly disturbing book last week, I am back to more all-ages appropriate fare this week, as usual firmly rooted in the sci-fi/fantasy category. I covered a book by the same author in my Halloween post last year, which was a tale of giant monsters.. The style is so different I didn’t connect them at first (which is funny considering I bought this one directly from him). 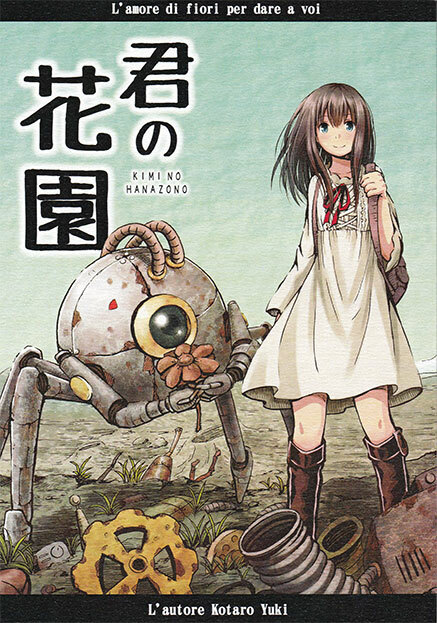 A young girl walks the wasteland of a post-apocalyptic future, accompanied by a crude spider-like robot she calls “Maruzo” (maru means round, and zo is a suffix common to traditional male names, so the robot is basically called round guy). What they are looking for is not explicitly mentioned, but it is obvious that Maruzo has a different idea about it than his companion, when he tries to bring home a filthy old toy he found along the road, and she makes him put it back. Back at home, they turn to watching old films, and the girl expresses her confusion at the actors’s emotional facial expressions. The world has become such an empty place that she has no concept of human emotion. Inside their little home, Maruzo has taken to fashioning flowers out of scrap metal, and they have even managed to plant a small patch of real flowers in their front yard, a rare thing as real vegetation is scarce in their barren environment. We learn that this is the result of a war of unprecedented scale, which ended up decimating the human population along with the Flora. 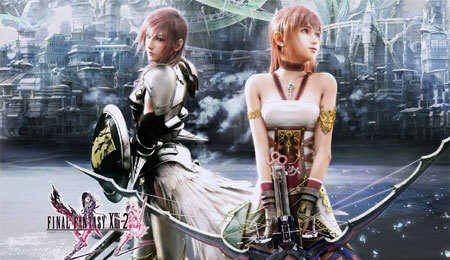 In search of other survivors, the girl and Maruzo decide to check out a distant city they see on the horizon. The girl is overjoyed when she hears a voice, but it turns out to be a display board rerunning news broadcasts from the war: A new robot weapon, “T.A.K.O.” is being introduced to deal with dissidents against government policy – no way that’s going to backfire, right? When our protagonists take a wrong turn (against Maruzo’s instincts), they are ambushed by the very same robot weapon, which promptly aims for the girl – and Maruzo takes the shot for her. But T.A.K.O. (Japanese for octopus) isn’t done yet, and life takes a serious downturn for the protagonists. But when all is said and done, they are able to turn the situation around, and end the book on an up note – and a wide field of flowers that has expanded well beyond the front yard. I feel that the biggest appeal of Kimi no Hanazono – apart from the beautiful art – is the characterizations of the protagonists. Contrary to stereotype, it is the girl who is emotionless and practical, while Maruzo builds scrap flowers, cherishes stuffed toys, and faints when a bug lands on him. Even so, there is a strong connection between the two, and when things look hopeless for Maruzo, the girl finally learns what the tears she saw in the old movie really meant. Kimi no Hanazono is 38 story pages, framed by a beautiful, matte wraparound cover (the whole illustration can be found on the artist’s pixiv page). There is a light grey, textured cover sheet next to the inside cover, which does not wrap around anywhere. Little details like this are a testament to the artist’s investment in the project. 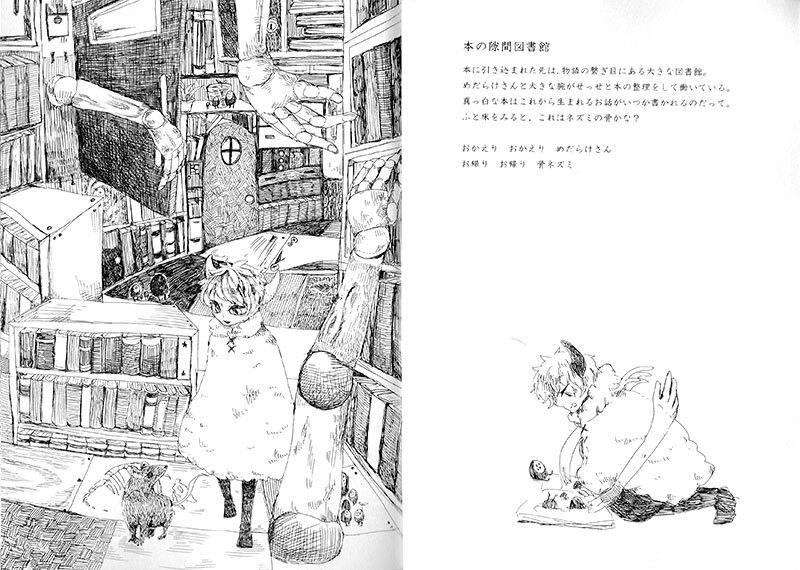 In the afterword, artist Kotaro Yuki explains that the characters first appeared in a single illustration he did 2 years ago, and he ended up getting more and more attached to them as he drew them more. 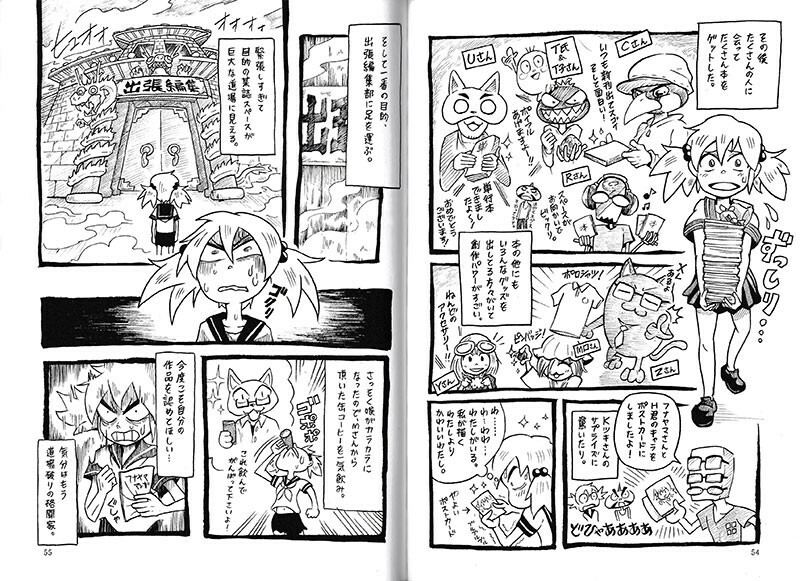 He started seeing something of himself in the character of Maruzo, and decided to draw a comic featuring them. It’s great to see when characters develop a life of their own like that, and the love for them shows in the pages of Kimi no Hanazono. The artist: Kotaro Yuki on twitter, pixiv. Hope you enjoyed the read.In for more? Make sure to check the doujinshi tag for books I have previously reviewed. Posted in reviews. Tagged art, Art & Design, Books, Comitia, dojinshi, doujinshi, duke, english.